Low power FM stations are not allowed to advertise. The FCC defines advertising as material broadcast in exchange for any remuneration intended to promote any service, facility, or product of for profit entities. This definition covers thing you may not think are advertisements. Discussing a business that has supported your station can be advertising. It does not have to be during a break in programming. So as a LPFM station you CANNOT advertise and you should not try to get around that. Not being able to advertise though is a powerful thing. Advertisements permeate throughout commercial stations. As a non-commercial station you are free from that and can produce rewarding content that is not sandwiched between cheesy advertisements. You may look at not being able to advertise as a curse, but it can be a gift. You are allowed to acknowledge contributors on-air. The FCC says this must be for identification purposes only and not promotion. This is known as underwriting. Underwriting can be a slippery slope and many times the FCC will issue a fine to stations for underwriting that sounds too much like an advertisement, but underwriting can be a great way to raise funds. You must be careful though not to cross the line. The FCC has also said that underwriting announcements that are too long will seem promotional. They do not give an exact duration of time, but have identified that underwriting longer than 30 seconds can appear to be an ad. It will be a case by case issue in regards to length but you do not want your underwriting anywhere close to 60 seconds. There is no reason for them to even be longer than 30. Don’t try to get around the rules. It is not worth it. Advertising is a very competitive market and commercial station want to make sure noncommercial stations are not stepping on their turf. Be careful what you are saying on air. You should not be discussing the groups that have contributed to your station outside of underwriting. Do not have your on-air talent coming up underwriting announcements off the top of their heads. Write a script for the announcement and then stick to it. Since the FCC’s guide to underwriting gives few specifics about making an underwriting announcement, many radio stations follow PBS’s guidelines. According to these guidelines, underwriting credit pods (the block of air-time used for underwriting) should appear at the beginning or end of a program and should not be longer than 60 seconds, with no more than 15 seconds spent acknowledging each contributor. Contributors might include local businesses, community organizations, churches or other houses of worship, and specific families and individuals. Besides the name of the contributor, an acknowledgement may mention factual information (e.g. Bob’s Used Cars sells used cars in Central Texas) as well as an associated phone number, address, or website (preferably only one or two of these three options). The average price for underwriting a contributor can vary significantly depending on region and the time slot of the credit pod. 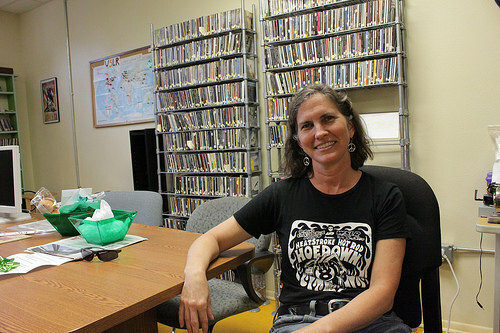 The LPFM station WEAK-LP 106.7 located in Athens, Ohio, for example, charges $60 a month or $660 a year. The full power non-commercial FM station KBOO in Portland, Oregon, on the other hand, charges around $27-35 per acknowledgement. Finally, for a sample underwriting contract visit: http://www.txstate.edu/effective/upps/upps-02-04-01-att1.html.